Is this why banks are closing Bosasa’s accounts? ‘Banks are highly regulated because they have to have confidentiality and trust. If these fall, then the banking system falls’, says Cas Coovadia. Controversial facilities management company African Global Group, formerly Bosasa, is going into voluntary liquidation after major banks announced their accounts would be closed. Bosasa, now trading as African Global Group, was exposed as an allegedly shockingly corrupt company when its former chief operating officer Angelo Agrizzi opened up about the tight system of fraudulent cash exchanges from the company to top government officials to secure deals and avoid detection. 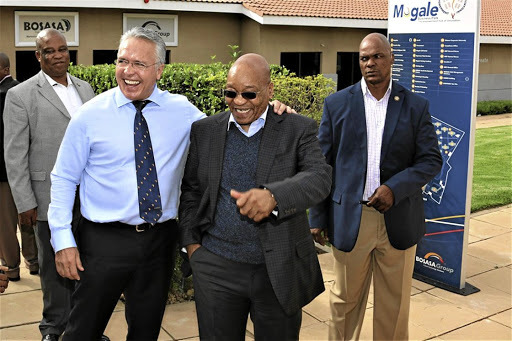 The Commission of Inquiry into State Capture heard that the company and its directors, under CEO Gavin Watson, had for the past decade paid millions in bribes for contracts from government departments. According to a statement by the group, First National Bank and Absa had informed them their bank accounts would be closed on or by February 28. This had forced the group into voluntary liquidation. While Absa and FNB refused to comment on their reasons for cancelling business with the group, citing client confidentiality, they could be protecting themselves from the consequences of breaching the Financial Intelligence Centre Act (Fica), Banking Association of South Africa managing director Cas Coovadia said. Fica is intended to combat money laundering and the financing of terrorism and related activities. According to the Prevention Act, which falls under Fica, any person who knows that property is or forms part of the proceeds of unlawful activities but enters into any agreement or transaction with that property, legally or not, is guilty of an offence. “Banks are highly regulated because they have to have confidentiality and trust. If the confidentiality and trust fall, then the banking system falls. “If [banks] do business with corrupt companies and there are issues of money laundering, they fall afoul of the law. Fica is clear about that,” Coovadia said. The liquidation could lead to 4,500 people losing their jobs. Meanwhile, the department of correctional services, which has contracts with African Global, has made emergency plans.